There's no controversy there. 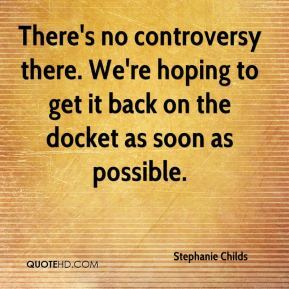 We're hoping to get it back on the docket as soon as possible. 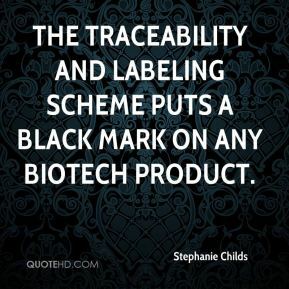 The traceability and labeling scheme puts a black mark on any biotech product. 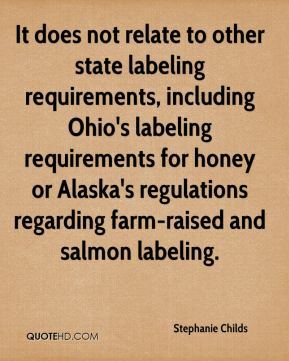 It does not relate to other state labeling requirements, including Ohio's labeling requirements for honey or Alaska's regulations regarding farm-raised and salmon labeling. The legislation addresses only food safety tolerances and warning label requirements. 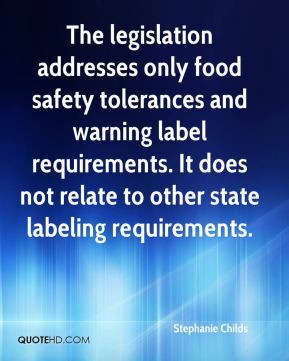 It does not relate to other state labeling requirements. 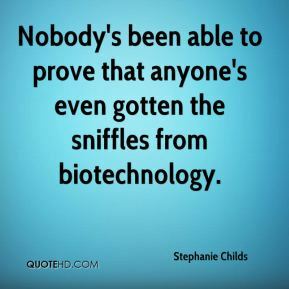 Nobody's been able to prove that anyone's even gotten the sniffles from biotechnology. 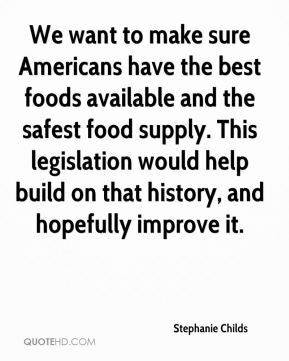 We want to make sure Americans have the best foods available and the safest food supply. This legislation would help build on that history, and hopefully improve it. 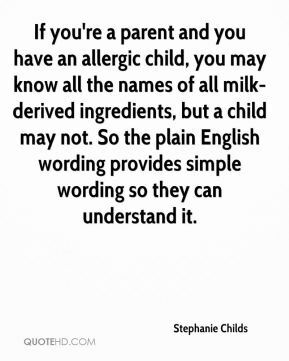 If you're a parent and you have an allergic child, you may know all the names of all milk-derived ingredients, but a child may not. So the plain English wording provides simple wording so they can understand it.